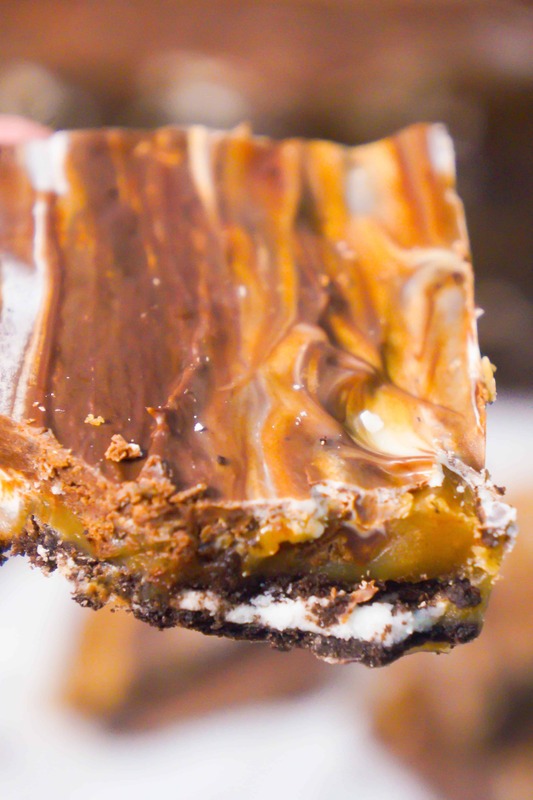 Chocolate Caramel Oreo Bars are an easy decadent dessert recipe perfect for the holidays. Oreo Thins topped with creamy caramel and a mixture of semi-sweet and white chocolate are a rich treat that will impress all your guests. 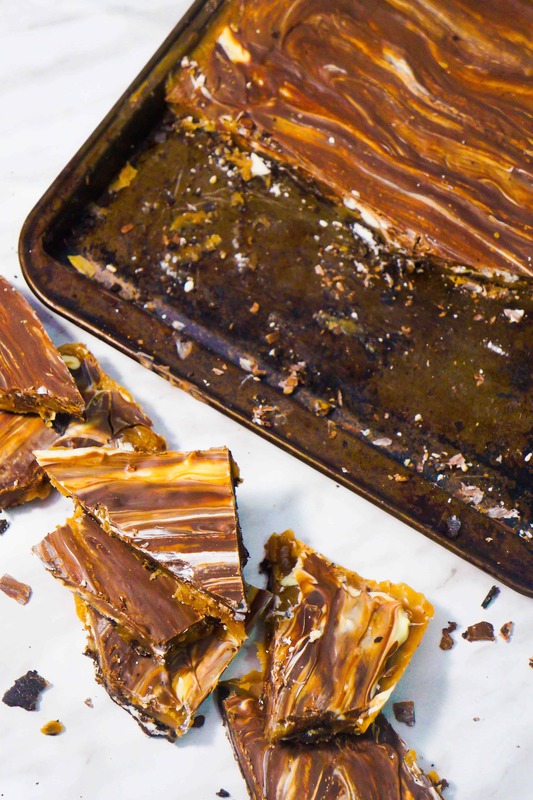 These delicious caramel squares have a great toffee taste like classic Christmas crack but the caramel is smooth and creamy instead of hard. 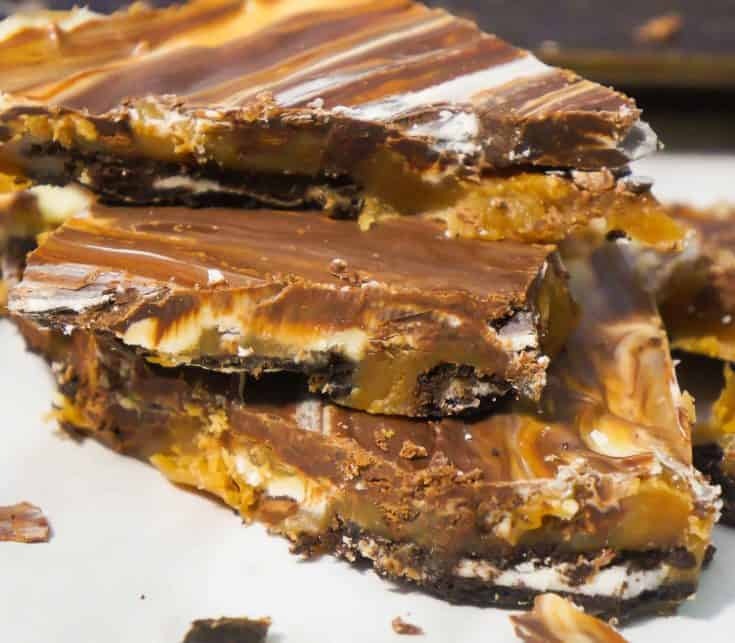 These chocolate caramel bars are much easier on the teeth than the traditional Christmas toffee. 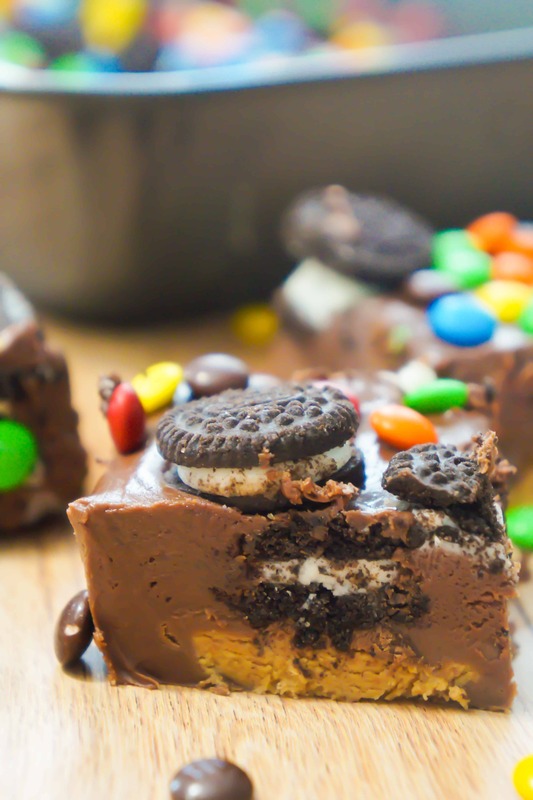 To make these dessert bars I started by placing Oreo Thins in a single layer on a cookie sheet. Oreo Thins are just like Oreos but about half as thick. I melted some brown sugar and butter in a saucepan and then brought them to a boil. I allowed the butter and sugar to boil and start to caramelize before pouring the mixture over the Oreo Thins. I made sure to spread the caramel out evenly covering all of the Oreos. Then I placed the cooking sheet in the oven and baked the caramel bars. After about six minutes I removed the pan from the oven and allowed the caramel to cool for a couple of minutes before sprinkling a mixture of semi-sweet and white chocolate chips on top. I gave the chocolate chips a few minutes to melt before using a rubber spatula to spread out the chocolate. Then I placed the cookie sheet in the fridge and cooled the caramel Oreo bars for about two hours until the chocolate had fully hardened. I cut the Oreo bars into pieces being careful to cut all the way down through the Oreos at the bottom. I chose to cut my bars into irregular shaped pieces so that it would look like Christmas bark but you could also cut them into squares or rectangles. Caramel Chocolate Oreo Bars are an easy dessert perfect for Christmas or any time of year. 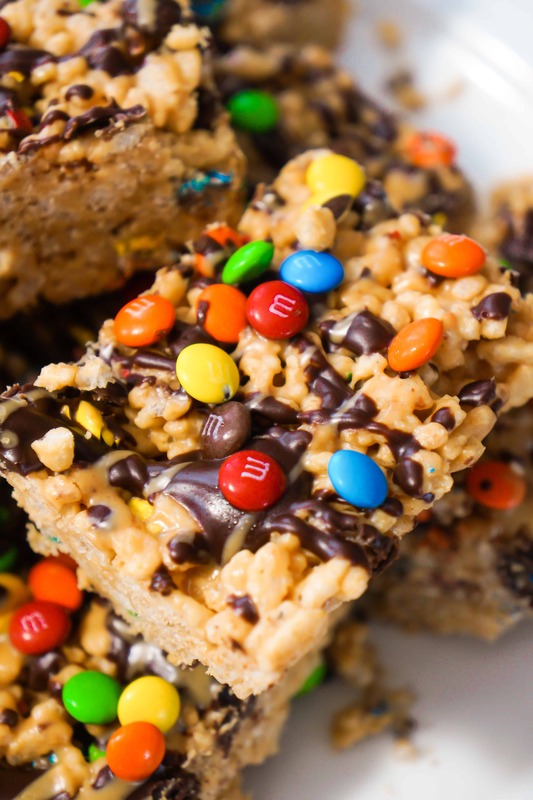 You need to try out this decadent dessert recipe. If you are looking for more easy dessert recipes check out Cherry Chocolate Chip Shortbread Cookie Bars, Caramel Chocolate Cream Cheese Stuffed Cookies, Peanut Butter Cookie S’mores Cups and Easy Chocolate Peanut Butter Fudge. 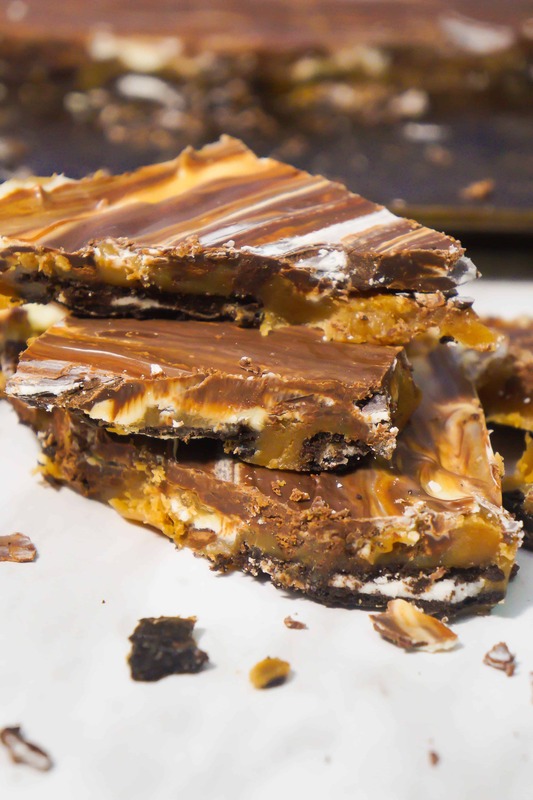 Chocolate Caramel Oreo Bars are an easy decadent recipe using Oreo Thins cookies. 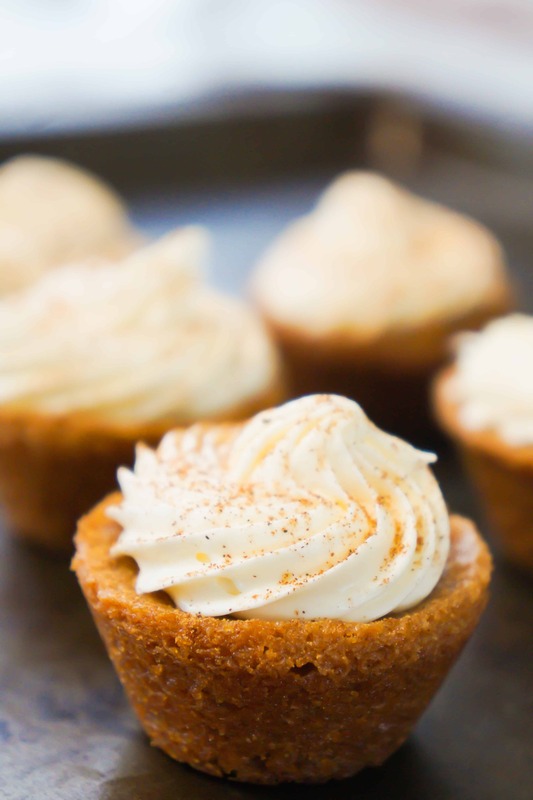 The Oreos are topped with creamy caramel and a mixture of semi-sweet and white chocolate. 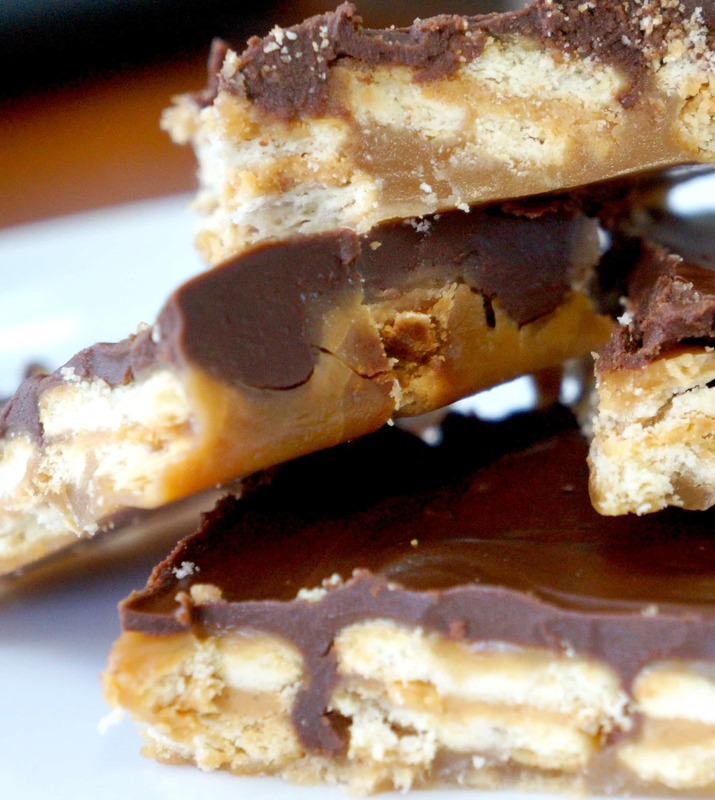 These delicious chocolate caramel squares are a great Christmas dessert recipe. Place the Oreo Thins in a single layer on a 10 x 15 inch cookie sheet spreading them out evenly. In a large sauce pot over medium heat melt the butter and brown sugar. Once the butter is fully melted increase heat and bring mixture to a boil. Allow the butter and sugar mixture to boil for three and a half minutes without stirring. Immediately pour the butter and sugar mixture over the Oreos being sure to cover all of the cookies. Place the cookie sheet in the oven and bake for six minutes. Remove the pan from the oven and allow the caramel to cool for three minutes before sprinkling the semi-sweet and white chocolate chips on top. Allow the chocolate chips to melt for 4-5 minutes and then use a rubber spatula to spread out the chocolate. Place the baking sheet in the fridge for at least two hours so that the chocolate can harden. Cut the bars into the desired shape. I cut mine into irregular shapes so that it would look like bark but you could also cut them into squares or rectangles. When you are cutting the square be sure to cut all the way down through the Oreos at the bottom.